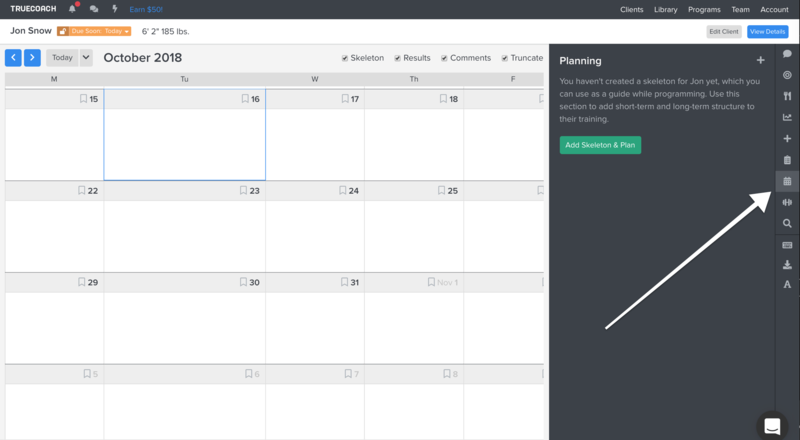 Depending on your training style, the planning/skeleton tool could become your best friend. 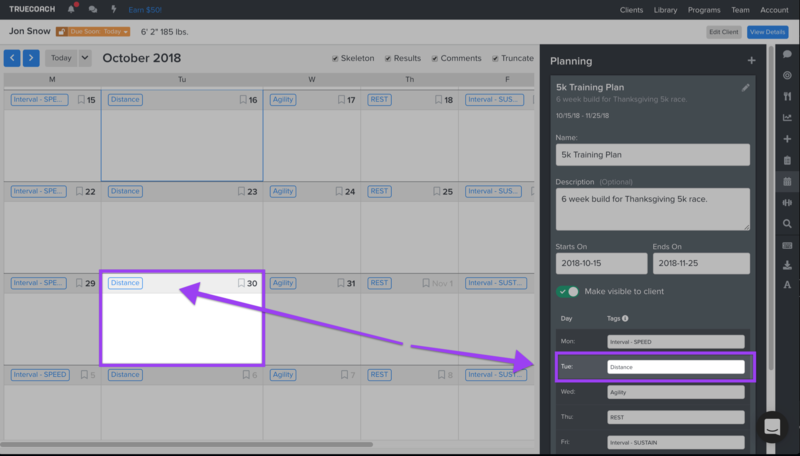 After clicking the calendar icon on the sidebar you can create a skeleton for your client's training. Set a title for the plan, the dates you would like it in effect for, and the focus for each day's training. 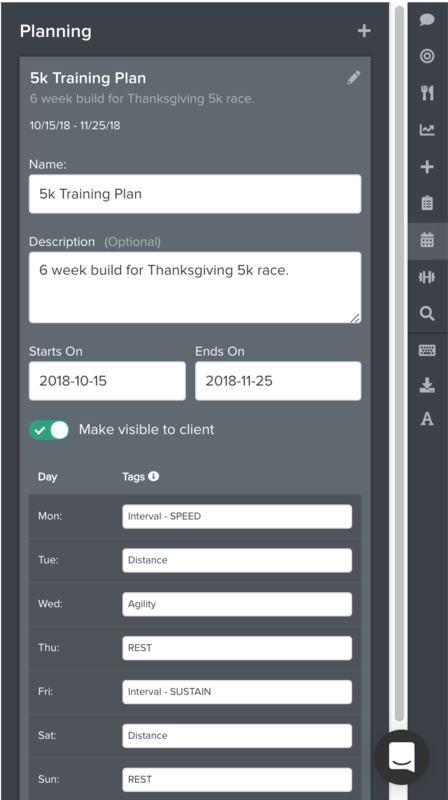 Any tags that you enter for specific days of the week will appear at the top of the day on the client's workout calendar. Below you can see the skeleton I've created to prepare Jon for a 5k race in April. I can outline the stimulus of each day's training on his workout calendar to make sure we don't miss any workouts in between now and then. You do have the option to make the skeleton visible to your client. To delete a skeleton, click the edit button, then hold the trash can to delete.